Combine all ingredients in a blender and blitz to combine. Pour into a lined small loaf tin and freeze to set approx 4 hours. 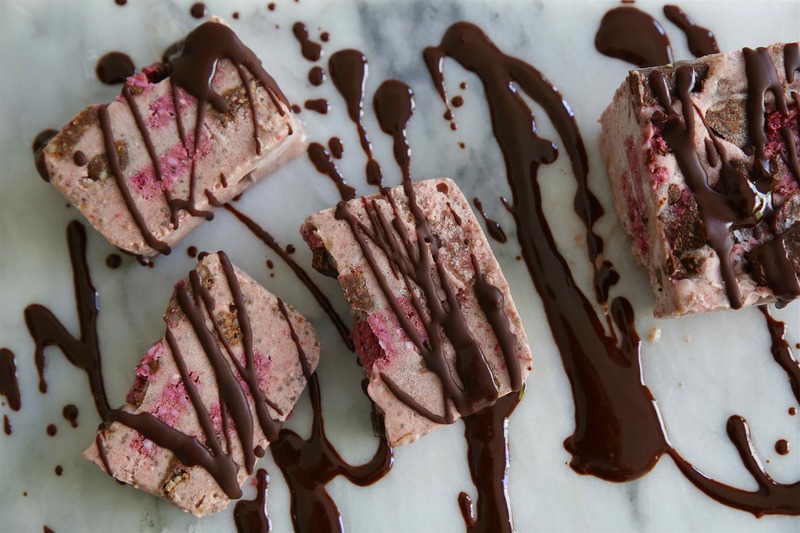 +If you wish to add cherry ripe slice or raw chocolate simply pour half the ice cream into the container, poke a few pieces of slice or choc in and then repeat to finish. + Serving option: Melt approx 100g dark or raw chocolate on the stove,slice the ice cream into pieces and put onto serving plates then drizzle molten chocolate over the top. It should set when it hits the cold of the ice cream and provide a lovely crunchy effect.